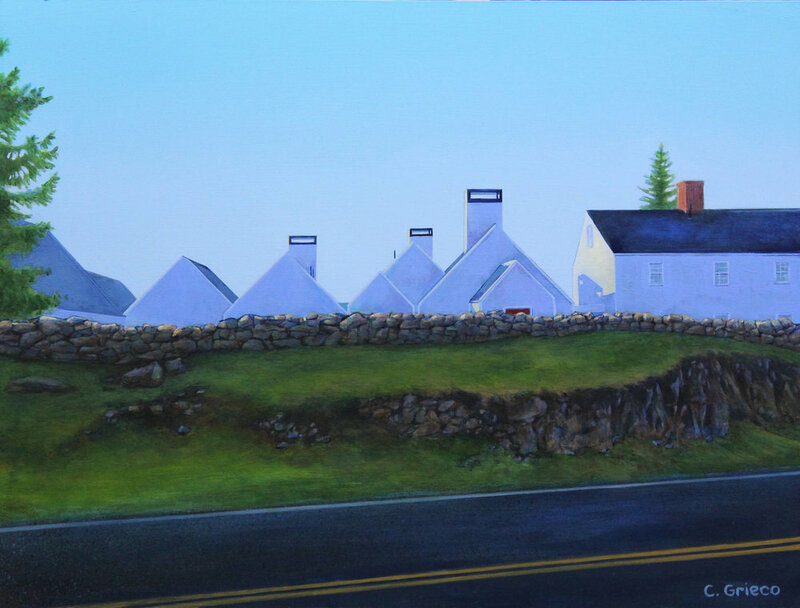 Featured: A Series of Paintings of Kittery Point Maine. Above is one in a series of paintings, of Kittery Point Maine subjects, painted by Chris Grieco. You don’t have to look far to see opportunities to capture interesting scenes and the beauty of Kittery and Kittery Point, Maine. Across the street from these amazing buildings is the Kittery Point Post Office, the subject of another painting Chris recently finished and is included in the series. Click to see more. Historical Note: Kittery has the distinction of being the oldest town in the State of Maine, incorporated in 1647 - more than a century and a quarter before the birth of the United States. If you would like to commission an original custom painting, Chris has developed a comprehensive creative process that will help bring your vision to life. Chris utilizes his years of experience as a painter, graphic designer and illustrator, to work closely with clients and transform their ideas into unique custom artwork. Original Paintings of the Maine Seacoast by Chris Grieco. Paintings of Maine’s iconic locations, lighthouses, seacoast, boats, buoys, sunrises, landscapes, lobster boats and more. Click to see available work. Thanks for visiting the 2018 shows!